Number 1 is the location is just excellent. 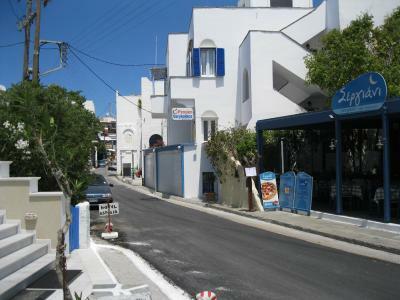 Some 50 mtrs To the left is the beach and from 0 meters to the right onwards for 400 meters is the main strip on NAXOS. The owner and his team are really hospitable. The bus stop to other beaches is about 150 meters away. Grom roof top you see the AEGEAN SEA Very easy to get about the island. 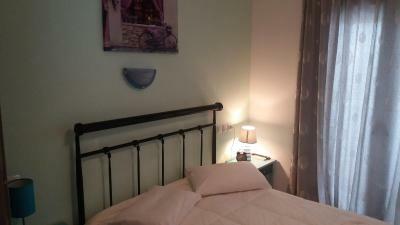 There is an excellent good value for money about 45 meters from pension. The restaurant serves very fresh Mediterranean and Greek foods. It's called Meltemi. 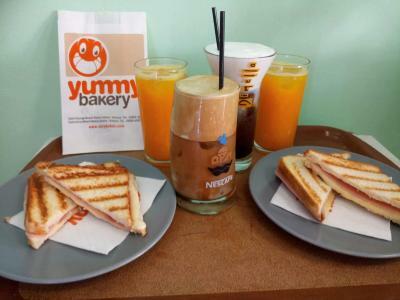 A must try for those who enjoy such meals. The owner was fab as was the lovely cleaning lady. The location is perfect too! 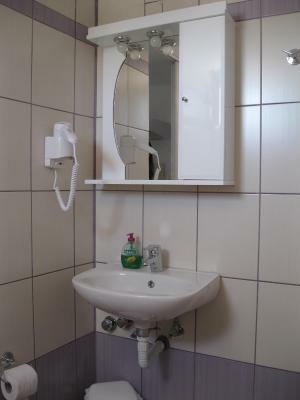 The location was the best, realy close to the city center, the beach and to any rent a car/bike, taverns and so on, the room was perfect, nicely equiped with a big shower and super comfy all round, the staff is also very nice. Highly recommend. 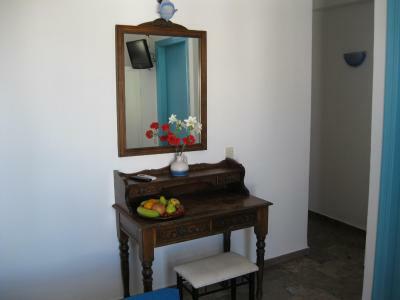 Fantastic location practically on the beach and wonderful restaurants and cafes 1 minute walk away. Super friendly and helpful staff. 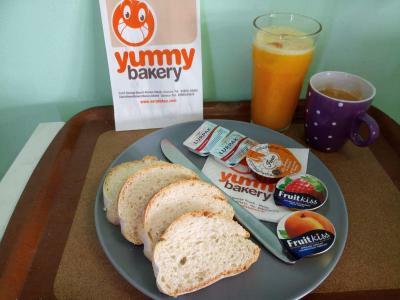 Tasty breakfast and extremely good value for money. Dimitri introduced himself and Staff so pleasant and helpful could not do enough for you . If you stay in Macis stay here. 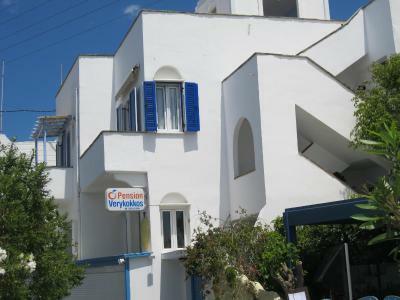 Pension Verykokkos This rating is a reflection of how the property compares to the industry standard when it comes to price, facilities and services available. It's based on a self-evaluation by the property. Use this rating to help choose your stay! 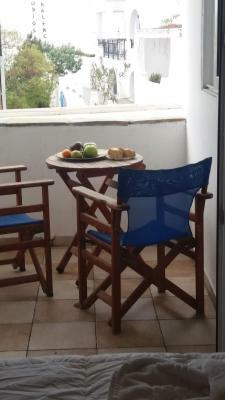 A short walk from the beach of Agios Georgios in Naxos Town, Pension Verykokkos offers rooms with free wireless internet. 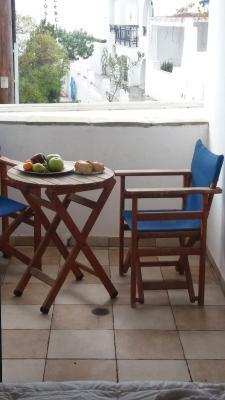 Pension Verykokkos offers a range of air conditioned rooms with TV and a balcony. 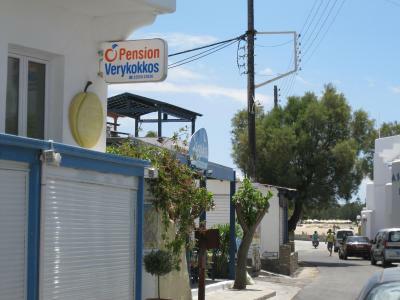 Pension Verykokkos provides pick-up service from the port. 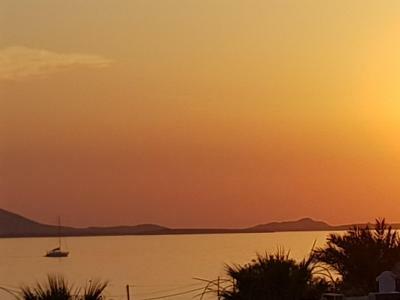 The hotel is right next to beach restaurants, bars, water sport facilities, mini markets, car rentals and offers sea views over the bay of St George. 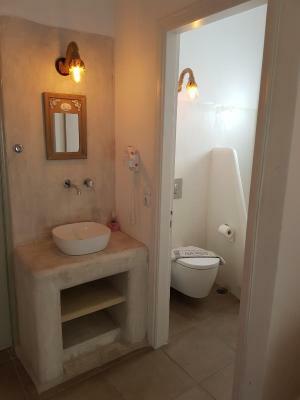 뀐 Located in the top-rated area in Naxos Chora, this property has an excellent location score of 8.8! 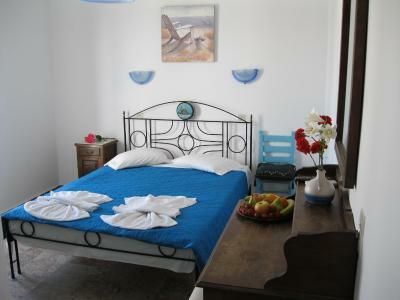 When would you like to stay at Pension Verykokkos? 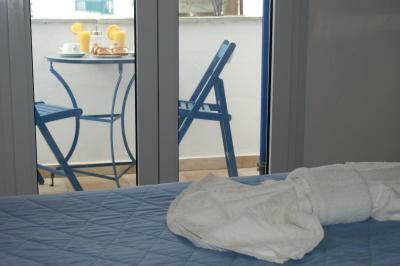 Featuring Cycladic-style decoration, this room comes with air conditioning, a TV, mini fridge and private balcony. Features air conditioning, TV, fridge and balcony. 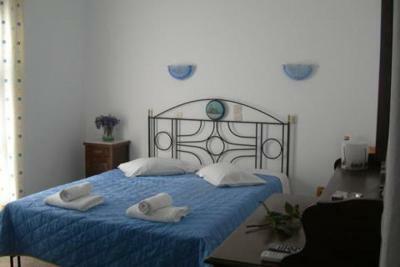 This superior room comes with air conditioning, a TV and kitchenette. 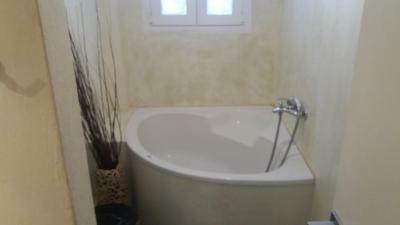 This spacious, sea-view suite features a bathroom with a big round-shaped bathtub. It is located on the property's top floor. Features kitchen and dining area. 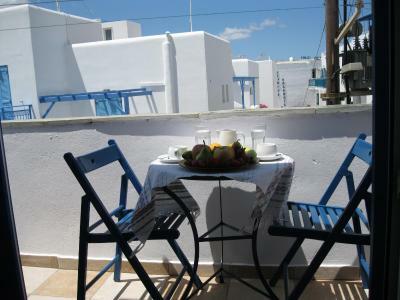 House Rules Pension Verykokkos takes special requests – add in the next step! Pension Verykokkos accepts these cards and reserves the right to temporarily hold an amount prior to arrival. 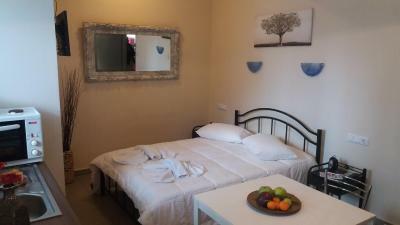 The room was very clean, close to a very nice beach/supermarket/restaurants/car rental. The value received for the money that you pay is very high if you compare it with the hotels nearby. Actually, there is no issue to complain. The hotel is very close to the center (max 5 min by foot), but what was great was that is very close to the beach - one of the best of the island, and we saw almost all of them during our stay. 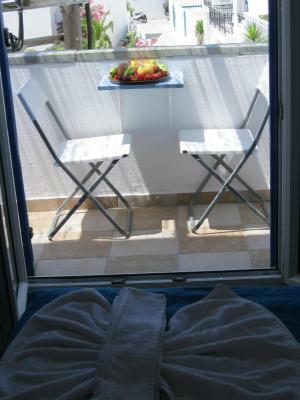 I recomand to book the rooms with the back view, there is noise on the front rooms. 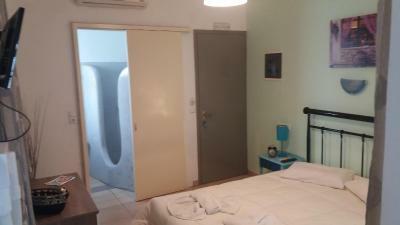 (on top of this, the rooms from the back are nicer and recently refurbished). My only gripe is the room door was internal door, not very strong so wasn't happy leaving any valuables in room. Parts of the room needed a quick repaint. 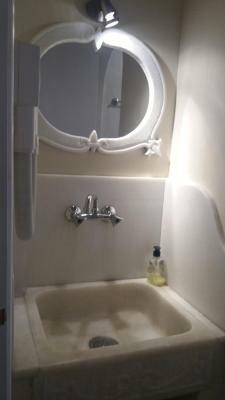 Very good location, Just a few minutes from the beach and port. Very nice host. the breakfast was disappointing. You can get a tea or coffee and a donut or pie from the shop own by the owner. No eggs or fruit or as such. Very basic. 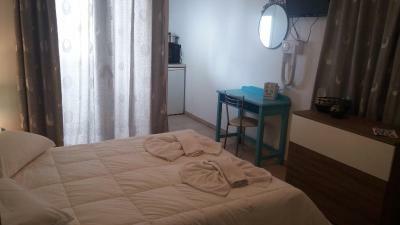 close to Beach, everything is walkable distance. The owner was so gracious and welcoming!